When it comes to medical coding, it can be an extremely difficult task for a busy office. 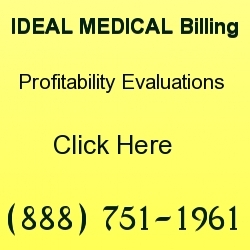 It is not easy to manage both patients and medical billing on a day by day basis. The documentation that is necessary to complete your billing takes time and has to be done on time. If not, you should expect to receive tough financial issues. We are living in the 21st century and things are a lot different than they were in the 20th century. For starters, most medical billing today is being outsourced to companies that do this 24/7. As you can imagine, it takes lots of time to find the appropriate codes. It gets expensive if you have to hire a medical coder and biller in house. You also need to worry about software. What kind of software are you going to use? Are you sure it works with ICD-10 coding? When you outsource your coding, the process becomes easier for you. You can also expect the outsourced company to get less claim denials since you are paying them a fee. They also work harder for you because they know that you will fire them if they don’t produce good results for you. They also won’t get paid because they often work on a percentage scale. You will find that outsourcing your coding increases your reimbursement and cuts down your operating costs. You in return save a lot of money and get paid faster. 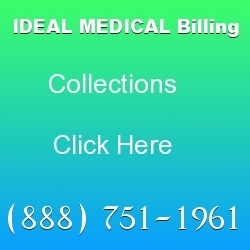 When you work with Ideal Billing Solutions, you get: maximum security for your information, fast retrieval of patient information, an organized workflow and your submissions done on time. You can also feel at peace to know that our coders are ICD-10 certified. 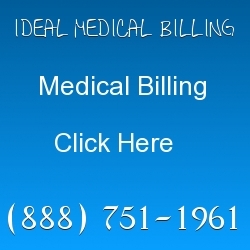 We are experts in coding and medical billing. We have been doing it for years. We give our clients an increase in their returns. We actually lessen the workload for physicians everywhere. Our friendly staff will give you regular follow ups and your submissions will be on time. We are fully HIPAA compliant. An amazing service is one that gives you utilization management and revenue cycle management. It is one that causes your revenue cycle management to increase. You should see an increase in your profits within the first 90 days. That is more than enough time for a physician to see whether or not a company is worth keeping. In today’s fast paced world, you have to be on top of what is new and current. Our billers are actively attending courses in ICD-10 and always adding to their education. In order to be a successful biller today, you must know how to bill according to the law. 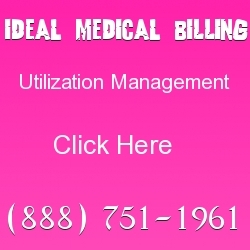 Medical billing is regulated by the US government and so are its coders. Evaluating a company based on what you know is often a good idea. However, make sure that you analyze their past successes with other healthcare providers that they have worked with. A reputable company often brags about the successes that they have had with others as well. Don’t be afraid to ask questions.